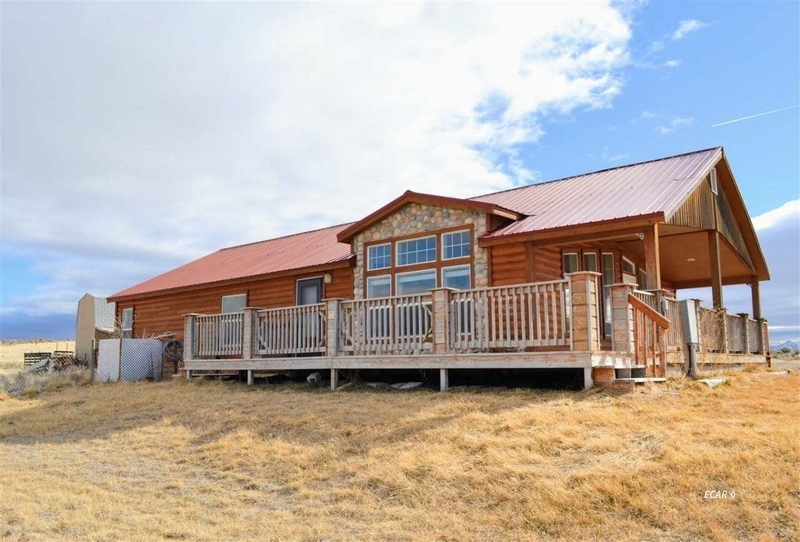 Beautiful Log style manufactured home! Come have a look at this amazing 3 bd 2bth! The property features a huge deck partially covered a wonderful place to view the area in the morning or evening. The kitchen has a fantastic layout with a nice island. Large master bedroom with a huge bathroom containing an over sized garden tub! Property has a storage outbuilding with power & a loft. Front yard fenced for animals! Home is plumbed for a wood burning stove. Chicken coop & play set to stay with the property!